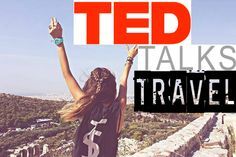 Watch this amazing video on TED Talks of Rick Steves who is a well-traveled American (!!) on the Value of Traveling. He has some great stories, here are some quotes out of the video to give you an idea what he is like and why you should watch it. ← Stage 1: OMG! Everything is fantastic!! !